Still struggling to gain any traction on social media? Brands big and small can use social media to create greater visibility and attract new customers. Here are some simple strategies to get you started on the right foot. One of the most common mistakes business owners make on social media sites is using their personal page/profile for commercial purposes. Not only is this against most networks’ terms and conditions, but it also limits the effectiveness of your marketing campaigns. For Facebook and Google+, for instance, you should create a page that’s dedicated strictly to your business. Pages are created under your personal profile, meaning you can have multiple pages, each of which can represent a different company or brand identify. I always cringe when I check out a brand’s social media profile and discover that it contains little-to-no information. Remember, users will often check out your profile to learn more about your business; therefore, you should include as much information in it as possible. Whether certain fields are required or optional, try to complete every field. The more information you include in your social media profiles, the better. According to a study conducted by the marketing firm SocialBakers, images are the single most engaging type of content posted on social media networking sites. The firm followed 5,000 brand pages on Facebook, analyzing the type of content they posted as well as the number of likes, comments and shares they received. SocialBakers found that a whopping 86% of the most engaging posts made by these brands were photos, whereas just 3% were status updates. So, what does all mean? Long story short, you should include photos — lots of photos — on your Facebook page. Just remember to avoid posting photos that are owned by other people or companies, as this could be viewed as copyright violation. You don’t have to create all of the content for your social media accounts by hand. Nearly all of the leading social media networks allow users to share other users’ content on their respective profiles and pages. Business owners should take advantage of this feature by sharing content that’s relevant to their target audience. While uploading and using another person’s image is usually a copyright violation, sharing content is not. With more than 1.3 billion monthly users, Facebook is by far the world’s most popular social media network. 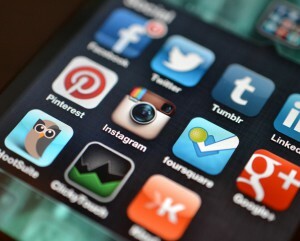 However, there are plenty of other social media networks that shouldn’t be overlooked, as well. Google+, Twitter, Pinterest, and Instagram are all powerful social media sites that business owners can use to promote their products and services. Instead of focusing your efforts strictly on Facebook, diversity and branch out into these smaller networks. Have any other social media marketing tips that you would like to share with our readers? Let us know in the comments section below! Social media is an excellent vehicle to promote your brand and business. Here we share some tips to ensure you're making the most of social media. One of the most simple of rules is to interact with your followers. It drives me crazy to see companies that don’t allow commenting or don’t respond to social media comments. Andrei – I think that businesses fear what people will post. While I don’t disagree with this being a threat, handling a displeased customer appropriately with thousands or even millions watching will pay off in the long run. The incomplete profile is a pet peeve of mine. I don’t LOVE social media for all industries, but it’s pretty much essential these days.